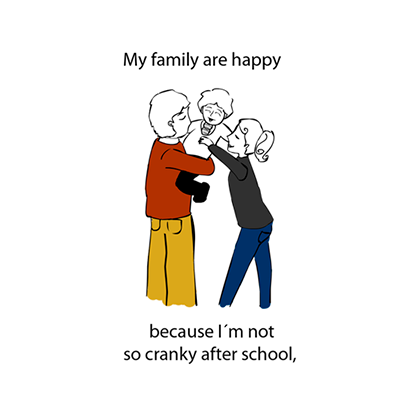 The overall aim of the book is to provide the reader with a better understanding of how the brain processes sensation and how this affects a child’s emotions and behaviour at home and school. It is hoped that the book would open up discussion between you and the child about their own needs and most importantly take away any feelings of blame from the child. An Occupational Therapist can help you choose the right sensory activities for your child and their modulator. 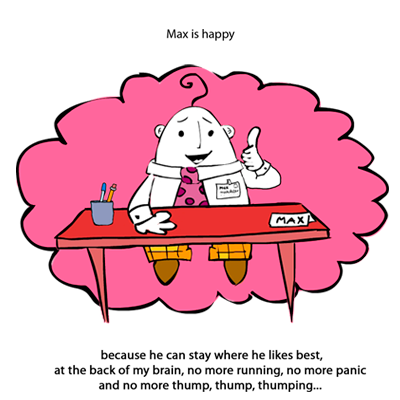 Read the book at a relaxed time (like bedtime) as you would any other story book. Read it a few times before you start to look at the colouring or drawing activities. Let the child ask questions as you go along. Once the child is familiar with the book, you could start to look at it again one section at a time to reflect on your own child’s modulator. Some children like to give their own modulator a name. It may be helpful to reflect on your own modulator together with your child and draw a picture of your modulator. After each section ask questions like ‘does this ever happen to you?- do you ever feel like the boy in the book?, this may open up conversations about difficult situations for your child. If your child is attending an Occupational Therapist you may like to consult them on which activities would be good to try to wake up the child’s modulator or calm them down. Use the vocabulary of a modulator in everyday situations rather than focusing on the child’s behaviour. So, if your child is fidgeting a lot you could say..oh it looks like your modulator has fallen asleep etc. If they are getting upset about going to a birthday party you could say..looks like your modulator is getting a bit stressed. If your child is too young or would not understand the language in the book you have probably bought the book for yourself to get a better understanding of your child’s needs. You could follow the tips above but work through it yourself or with another family member who knows the child. If possible ask the parents to read the book with the child beforehand so the child is familiar with the book before coming to the session. Take one section at a time over 4-6 sessions. 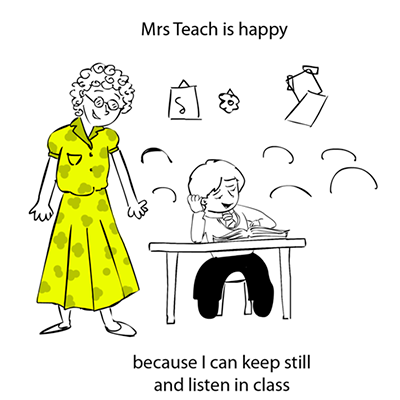 You could either ask the child to complete the drawing tasks at home for homework or within the session. The child may like to give their modulator a name. When it comes to the activities sections, go through each sense and try about different sensory activities. Ask the child to reflect on whether each sensory activity it makes her modulator stressed or sleepy. Once you have established which activities work for the child, ask the child and parent to help you set up a sensory diet. You may have a particular child in mind, or have bought the book for more information on Sensory Processing difficulties to inform your teaching practise. If you want to use the book with a particular child may sure the parents have also read the book and are using the vocabulary at home. If may be useful to use the book with the whole class so the particular child does not feel singled out . Then you could say- looks like your modulators are all asleep... looks like your modulators are all tired etc.. If you can, consult an Occupational Therapist about which activities might be most suitable to use in the classroom to calm down or wake up the modulators.